Back and bigger than ever, KAABOO Del Mar delivers another unbelievable lineup for the fifth year in a row. This September 13-15, 2019 guests will be able to enjoy the unique experience that only KAABOO offers with world-class art, a foodies' paradise with a huge selection of cuisine, craft beer, wine, and spirits, plus an entire comedy club with seating, air conditioning and amazing comedians. All of that and a musical lineup that's vast and diverse! 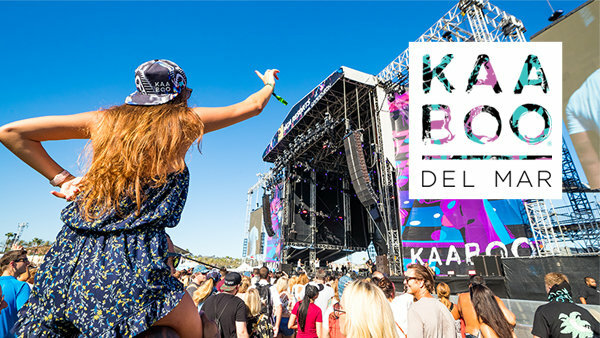 Single day tickets and multiple day packages are available now at kabboodelmar.com.